Endings are hard, no matter how they come about. 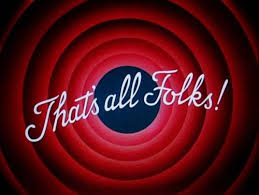 The endings you don’t see coming – an unexpected death, a job loss out of the blue, etc. – are obviously going to be difficult to process, since you had no run-up time to get used to the idea. But everyone will go through a process of dealing with it…denial, anger, bargaining and depression, before you finally accept it. There is no set timetable on this. Everyone will deal with it in their own time and often in their own way. But that doesn’t mean that endings you expect…sometimes even long for…are any different in the phases. Think about when you graduate high school or even college. While my guess is that you couldn’t wait for your “real life” to begin, I’ll lay money that you denied the need to figure out our next steps, you were angry that you needed to figure out a next step, you tried to bargain your way out of a next step, and maybe even shed a tear or two about your school years ending, before pulling yourself up and moving toward that next step in your life. This past weekend was likely my last travel baseball tournament. For quite a while, if not forever. I have previously talked about my “Boys of Summer”, knowing that the end was nigh. It’s true that I am looking forward to having free weekends in the summers to come, I will miss the weekends at the ballpark, getting my “bleacher tan,” cheering on my boys and eating a hot dog from the rare concession stand. I’ll miss the fun and camaraderie with the other parents; playing Baggo on a warm summer evening with an adult beverage of your choice. I’ll miss the laughing and jokes in the stands, along with the frustration and commiseration there when the team has one of those innings. I’ll miss the boys and all their grossness and how sweet they can be to the fans and to each other…although they will never admit to that out loud. I’m already full-on in denial, thinking that come next spring my son will join another travel team and we’ll have one more year. I’m also edging into anger, that I didn’t make more of the moment when it was happening. Not sure how or what I will bargain with, but I may catch myself trying to talk him into looking at options for next summer. And I’m sure the first nice weekend next summer will have me at loose ends, depressed that I’m not sitting on a bleacher somewhere in the sun cheering for a double play. Endings are hard. But I know that the world will keep turning and everything will fall into place, in the end. Some choices are forced upon us. Say you have a disease that can be treated but the cure may be worse than the disease itself. 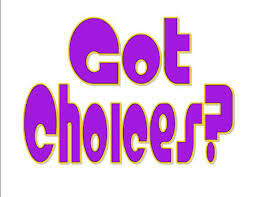 Technically you have a choice, but in situations like this, the choice is often clear. Some choices are made for us. If the government decides to pay for a new study – say a study of the health damage caused by peanut butter chip cookies – your tax dollars will pay for that, whether you believe peanut butter chip cookies have an inherent health risk or not. True, you have the option to protest or vote differently in the next election, but at the end of the day, somebody will get paid to outlaw peanut butter chip cookies, and you will have another choice to make: remain a law-abiding citizen or go to the black market for peanut butter chips. Some choices can be strongly influenced by your friends. If your entire group of friends is going to a party, chances are that you will end up going too. Yes, you can absolutely choose not to go, if you are cool with hanging out alone Saturday night, binge-watching “New Girl” on Netflix. I don’t believe there is a right or wrong way to make these decisions. Some people pray for answers, some people draw up lists of pros and cons, some people flip a coin. I personally am a “researcher.” I try to gather as much information as I possibly can, play out all the possible (and sometimes even the improbable) outcomes in my head, get input from those I trust on the topic, then make a considered decision, making what I think is the best choice, based on what I know at that time. Sometimes I’m right; other times I’m wrong. And still other times – happily few and far between, thanks to a little luck – I’m REALLY wrong. But in the end, the challenge of choice is the price you pay for freedom. I’m glad that I have as many choices in life as I do, and I will live with the consequences, good and bad. I’m that person that always shares a compliment, as a “team effort.” I’m that person that responds with “aw shucks” when someone says good job. I have a really hard time selling a product or service, even one I really believe in, because even though it is right for me, doesn’t necessarily make it right for everyone. And I hate the thought that someone may be disappointed in something I recommended. Even with Thought Pops, I have taken a passive marketing approach…simply linking to my Facebook page and Twitter account and hoping that maybe one of my friends will take the time to read it. But that’s all gonna change now. I’m making an aggressive move. 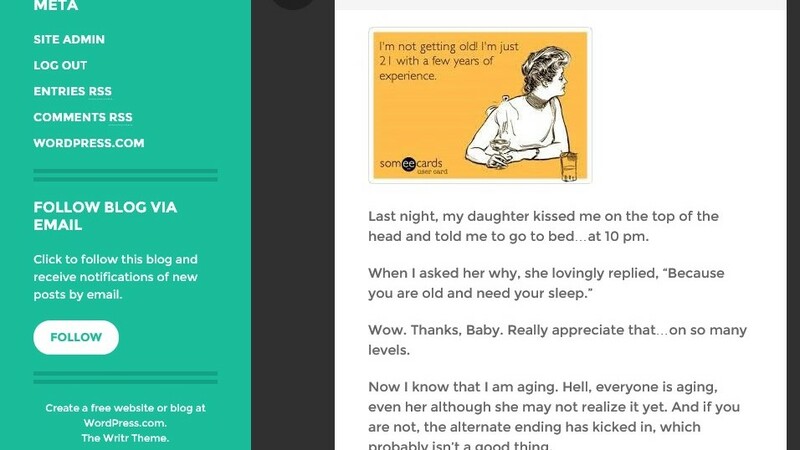 People can now subscribe to Thought Pops and have it delivered to their email. At the bottom left tool bar on Thought Pops, you will see a section marked “Follow Blog Via Email.” Click on the “Follow” button, answer a question or two and technology will magically email you when there is a new post. This fabulous new feature has been added in response to requests from readers, so I guess that makes it less “aggressive marketing” and more “you asked, we listened,” but hey…if I can get two more people who like to read my random thoughts on life, it will bring a smile to my face. But I can’t lie, I’m still worried so to those of you disappointed, I’m sorry…and it still feels a little like shameless self-promotion to me. I am a Dave Matthews Band fan. I’m not the kind of fan that goes to every concert and follows the band on tour, but I do love their music. I admire the hell out of the music, which I find to be deeper and more artistically developed than some of the other artists I like. But I think it’s the lyrics that really get to me. DMB has gotten me through a number of tough times in my life. And “Jimi Thing,” definitely in my top five favorites, covers a multitude of emotions for me. I use it to start vacations, find peace in stressful times and relax when I have the time. But it also serves to remind me to be happy with what I have. 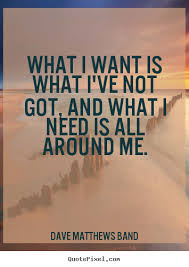 Too many people today worry about the things they don’t have. “Keeping up with the Joneses” is still a popular activities in every town and city in the world. Society has conditioned us to “need” the next generation iPhone, when our contract hasn’t run out on the one we have. As soon as the newest technology comes out – be it in media or kitchen appliances – we have to have the latest. “Jimi Thing” reminds me that, while maybe I don’t have all the things that I want in life…the perfect job, the perfect figure, the perfect house with all the perfect accessories…when I take the time to look around me, I absolutely have everything I need. Last night, my daughter kissed me on the top of the head and told me to go to bed…at 10 pm. Wow. Thanks, Baby. Really appreciate that…on so many levels. 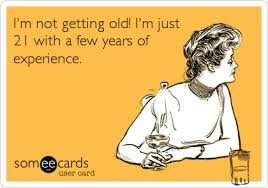 Now I know that I am aging. Hell, everyone is aging, even her although she may not realize it yet. And if you are not, the alternate ending has kicked in, which probably isn’t a good thing. I am trying to age gracefully. In my youth, I didn’t exercise because it might make me spill my coffee. I now try to include a variety of exercises (both cardio and strength building) into my daily (or weekly) schedule. I’ve taken up yoga and meditation, to keep my chakras open…or something. But I do find yoga gives me a weird sense of serenity that helps me feel younger. I have taken a hard look at my diet and realized that, at my age, I can no longer consider Cheetos and a Coke a “good lunch.” I have taken a giant step to not only acknowledge “fruits and vegetables” as a viable food group, but also to include them in my daily food allowance. Fiber content is suddenly a number I pay close attention to. I have cut out pop (or soda, depending on where you live), replacing it with water. And coffee. And I still worry that my coffee will spill. I take every opportunity to laugh, because it’s true that it is the best medicine. And I feel pretty good. And then my 20-year-old kisses me on the head at 10 pm, and tells me to go to bed while she is heading out to start her evening. I must be doing something right though. I recently mentioned to a couple new friends that I had a 17-year-old son and both expressed shock…absolute shock! They both knew I had kids but thought they were little…like 10 years old or so. Of course, these two ladies are now my new best friends…and both are 15-20 years older than me. So I think I’ve found the secret to aging gracefully. Ready? Perspective. I will still watch my diet and exercise. But I’m adding to my regime. Hang out with people older than me and ignore those chippy 20-year-old brats. “The West Wing,” created and in large part written by Aaron Sorkin, is an inside look at the White House and the lives of the staffer. 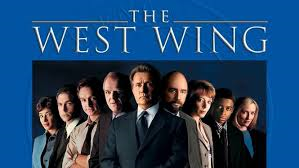 The show debuted in 1999 and ran for seven seasons and was a loose spin-off of the movie “The American President,” also written by Sorkin (and a movie I recommend checking out). The cast includes Martin Sheen as POTUS, John Spencer as the Chief of Staff, and the semi-regular appearance of Stockard Channing as the First Lady. But that just scratches the surface of the amazing talent embedded in this show. While I realize that Hollywood rarely depicts reality (even in reality shows), I like to think that, for the most part, we have not only smart people running the country, but also quick people. The back-and-forth banter portrayed in “The West Wing” is amazing, fast and sometimes hard to keep up with. But when there is a good pay-off, I’m willing to work a little harder for my entertainment. I also love that just about every conversation ends with “Okay,” whether it is or not. “The West Wing” also pioneered a device in which characters have conversations while walking through the office halls or from one meeting to another, AKA a “walk and talk” scene. While I have never worked in government, much less the White House, I have spent a number of years working the corporate world, and I know that much of the work gets done like this. If I had a dollar for every time I have gotten the answer I need by walking an executive to the car, the cafeteria, between meetings, and on one occasion, to the bathroom, I could retire comfortably. But I think what I love most about “The West Wing” is that they took on issues of the day. And frankly, many of the issues are ones we still deal with today. The good guys win and lose as you might expect, there are times where there really is no right answer but the lesser of two bad answers, but ultimately they do as we all have to do, simply do they best they can with the options they have. And occasionally, buried among the political stories and subplots, there is a touching human interest story that can bring me to tears (see “In Excelsis Deo,” Season 1, Episode 10). Wednesday nights, were the highlight of a good number – if not the majority – of my weeks during the show’s network run. My kids were little and Wednesday was my husband’s bowling night (yes, it felt way too 1950’s to type that), so I would pick the kids up from day care, stop for Happy Meals, get everything done and the kids ready for bed before 8 pm. And even the kids knew they could only talk during commercials, unless there was an emergency. During that one hour of the week, “emergency” was defined in my house as large fire or bleeding from the eyes. Even my husband tried to not get home before 9 pm, because he knew I would NOT catch him up during the show. I’m sure there better, more productive things I could be doing with my time right now, but I’m not only re-watching a show I truly enjoyed, but in many ways, reliving some great memories in my own life. 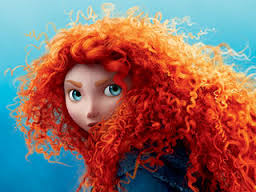 I almost hate to do it, but I’m jumping on the “Brave” bandwagon. But let me start with full disclosure…I have never seen the movie, and I don’t have the first clue as to the plot line. I hear good things about it, and even my daughter suggests – actually demands – that I see it as soon as possible. I love this. As a writer (or at least a writer wannabe), I can appreciate using words as more than just a jumble of letters on a page. s the chorus that really got me thinking. Simple advice, but harder to put into practice. Think about all the times we tell Little White Lies. “Yes, I think that shirt looks great on you.” “No, I don’t think you have put on weight.” “Sure, I’d love to join you for dinner.” “No, I don’t think the purple hair is too much.” Even the most honest people will drop LWLs into conversation, unless they truly have no soul and enjoying hurting people’s feelings unnecessarily. But this line really hit me in a more profound way recently. Being brave with myself. Being honest with myself on what it is I want out of life. I think too often, we take the easier path, or even the smart path, rather than being brave and taking the road less traveled, the one that is rocky and slippery and frankly, dangerous. I am dealing with a question right now. I won’t bore you with the details, but I have two choices. Take the safe path, the rational one in every sense of the word. This is the path that a grown up with responsibilities would take, especially an adult with other people depending on them. And adult who has to think not only in the moment but toward the future. But I fear this path could make me unhappy in the end. The other path is pretty irrational. It is fraught with downside and could possibly prove too hard to survive. Okay, so maybe that is a bit dramatic but it is a choice that has inherent risks that could be insurmountable. Or simply prove too hard for me to overcome. Unfortunately, I’m no closer to a decision, but I thank Sara Barielles for making me think about it and realize either path will require me to be brave and let the words fall out. Maybe I need to see the movie. Maybe the plot will reveals the right choice to me. After all, wouldn’t be the first time animation has saved the day!